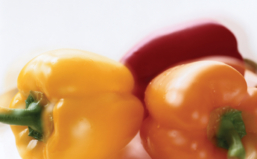 Essential temperature monitoring at every stage of the food industry. Tinytags are used extensively in the food industry where it is critical that temperatures are accurately maintained at specified levels and recorded for ongoing verification. Loggers are used to ensure compliance with industry-wide environmental, health and safety regulations including HACCP measures. They are used throughout the food cycle and the cold chain. Tinytag loggers are robust, waterproof and easy to clean, and help verify conditions during initial processing of ingredients through cooking, chilling, freezing and flash freezing. Robust Tinytags are used in industrial dishwashers to help ensure items are washed at the correct temperature. They are also used during sterilisation of food preparation equipment. Tinytags are used by retailers and caterers for monitoring temperatures in storage areas, fridges, freezers, chilled display cabinets and vending machines.